We know how important it is for students to be in school. All student absences are treated as unlawful until your child’s school receives a written excuse explaining the absence. This excuse must be given to the school office within three days of the absence. 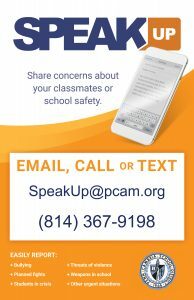 Call the school office if you have a question or concern about your child’s absences and excuses required. We would be glad to help you through the process.